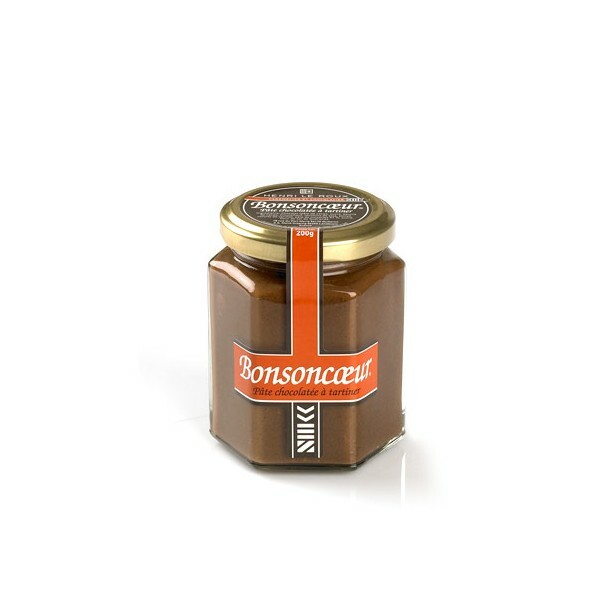 A soft caramel spread full of tenderness and sweetness created in 2002. 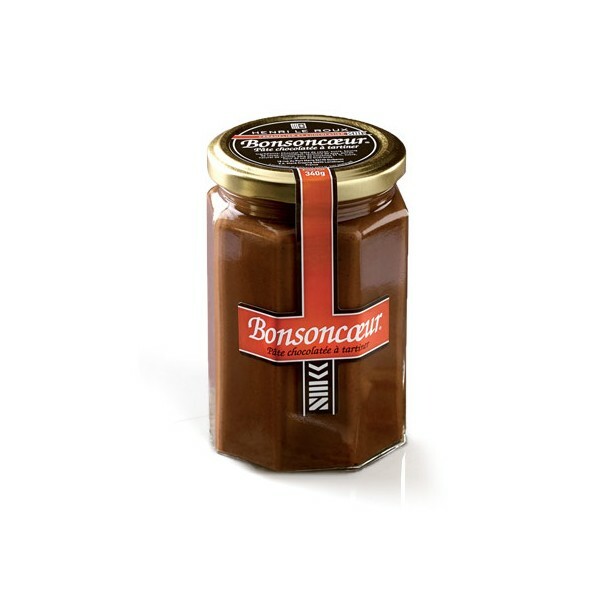 THE BONSONCOEUR ® A fine chocolate spread whose harmony results from a delicate dosage of the chocolate, dough of hazelnut, flower of salt of Guérande and from the brown sugar. 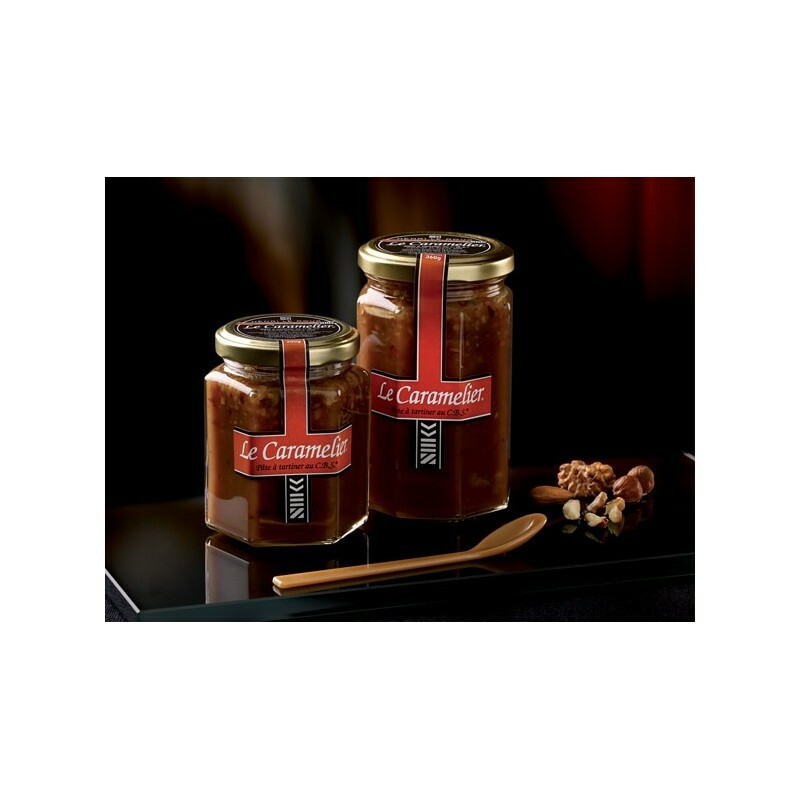 A soft caramel spread full of tenderness and sweetness created in 2002. 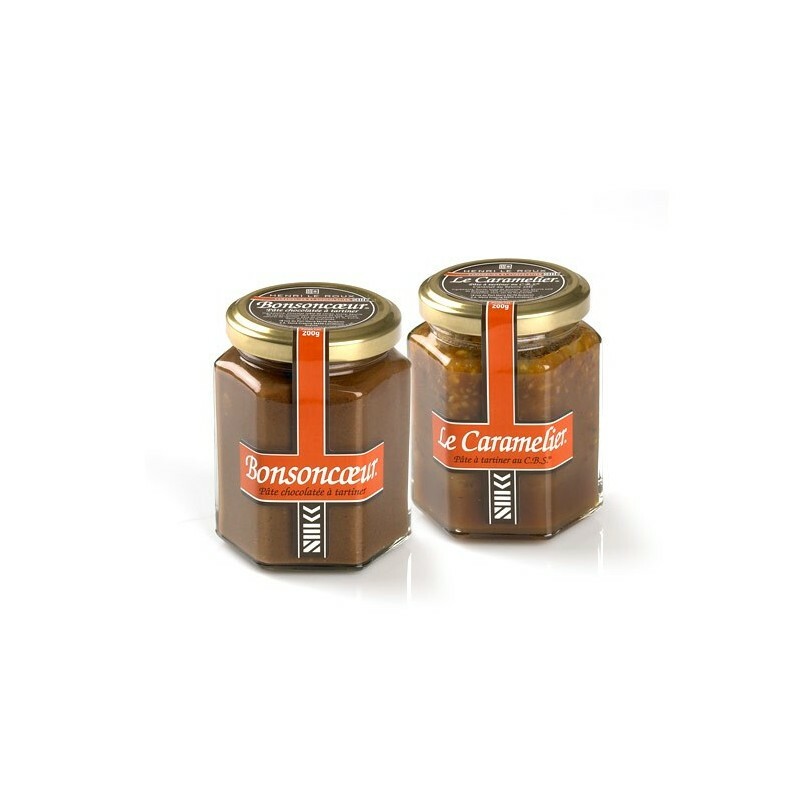 Delicate structure, freshness of the taste and the aromatic subtlety. With this Caramélier, Henri Le Roux enters the magic universe of the tender toffee. 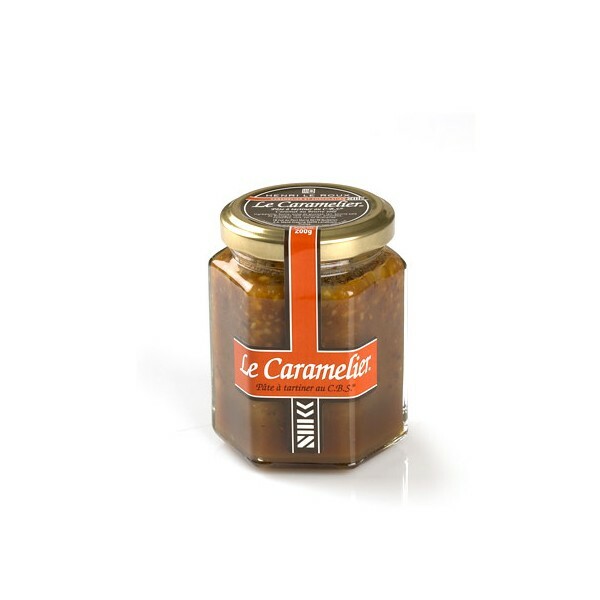 Ingredients: sugar, glucose syrup, MILK, salted BUTTER, ALMONDS, HAZELNUTS, Guérande salt. 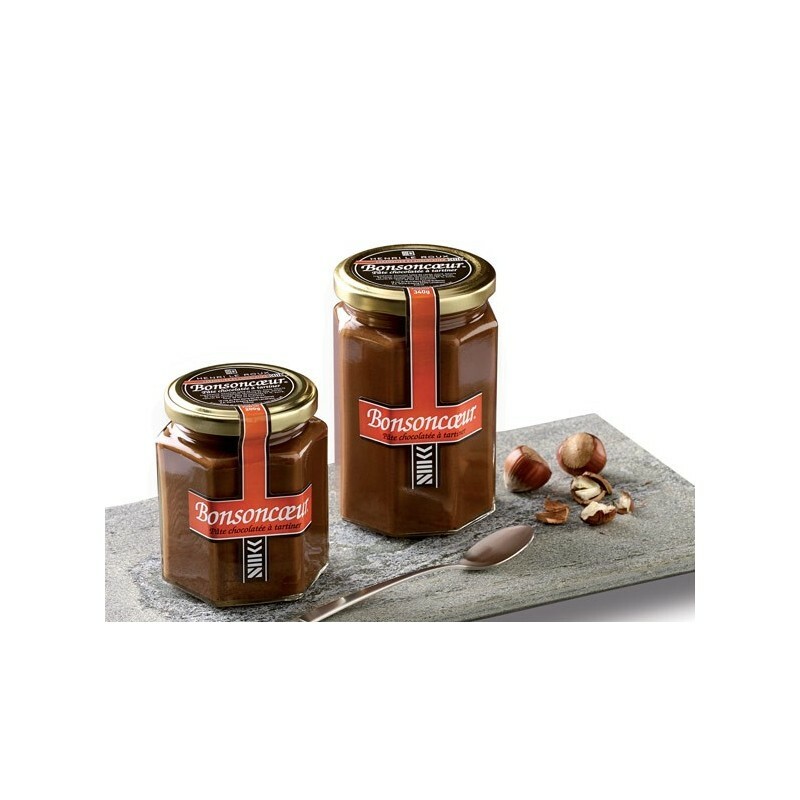 Ingredients: chocolate (cocoa paste, sugar, cocoa butter, emulsifier: SOYA lecithin non GMO, natural vanilla extract), HAZELNUT paste 51%, sugar, Guérande fleur de sel.